What is Bearing Capacity of Soil? & How to improve it? What is Bearing Capacity of Soil ? How to improve Soil Bearing Capacity. As we all know that, The strength of buildings, roads, dams, etc all are dependent on the foundation, and the foundation is dependent on the soil. If soil has high bearing capacity then it will bear high loads and pressures which are an important part of the construction of buildings, roads, dams etc. Structures which are constructed on Soil having low bearing capacity will make the structures too weak. Which is not a good idea. First of all we must have to test the soil bearing capacity to find whether it is low or high. If its bearing capacity is high then we should need to improve it by using the following some methods. So let’s move on to the improving methods. Read More: 12 Different Types of Cranes used in Construction Works. Following we will discuss some different methods. Usually, Soils have got high bearing capacity at the depth of earth. This method is especially used for sandy soils. Because mostly sand have too low bearing capacity as compared to other types of soil. 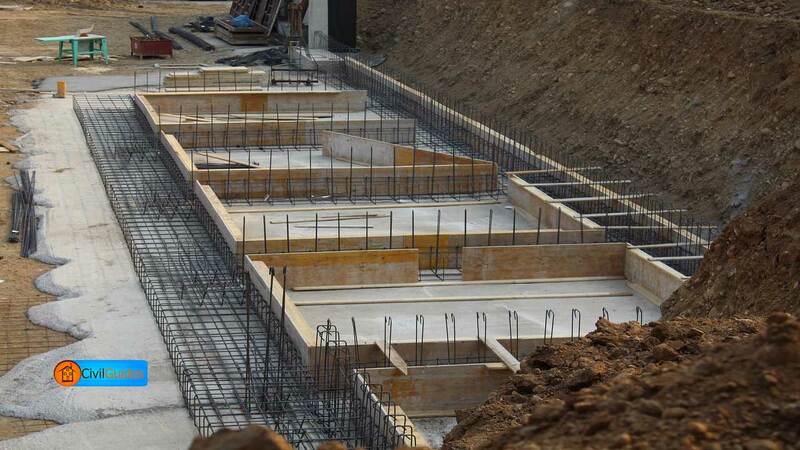 But this method is not too much good because if we increase the depth of foundation it will also increase the weight of foundation which means the load will be also increased. The Bearing Capacity of every soil decrease with increase in water content. Cohesionless soils, i.e., sandy and gravel type soils can be drained easily either by using gravity pipe drainage system or by installing shallow tube wells. Both methods work perfectly. Note: This method is most effective for sandy and gravel type soil not for clay type. Compaction reduces the open space between the individual particles of soil and hence they are less liable to displacement, thereby it will indirectly increase soil bearing capacities. By driving piles or by packing boulders, compaction to a certain extent can be attained particularly in sandy soils of a loose nature. Read More: What is Paint, Definition, Properties, & Components of paints. For this purpose, mostly sheet piles are used. They are driven to form an enclosure, which compacts the soil particles. Thus it will help in increasing the bearing power. Cement grout can be injected under pressure in the foundation to seal off any cracks or fissures which otherwise reduce its bearing capacity. This method is mostly employed for fissured cracks. Chemical solutions like silicates are injected under pressure. They form a gel and thereby unite particles to develop a compact mass. Which will increase Bearing Capacity of Soil indirectly. This method is very costly and is adopted in exceptional cases. Please, Don’t forget to share this article with your friends.